Iloilo City is one of the most accessible cities in the Philippines. Its strategic location, about 283 statute miles from Manila through Antique waters and 337.6 nautical miles through Capiz waters, made it the business and government gateway to the flourishing region of Western Visayas. 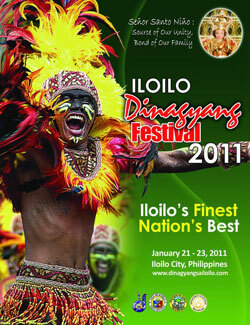 Iloilo City is strategically located in the southern shores of Panay Island. The city faces Guimaras Island separated by the Iloilo Strait, making it a natural harbor and a safe anchorage for ships and cargo vessels. This Queen Jewel of the Philippine South lies on a flat alluvial plain, mostly reclaimed lands of the former swampy areas due to urbanization and industrialization during the late 19th century to present. 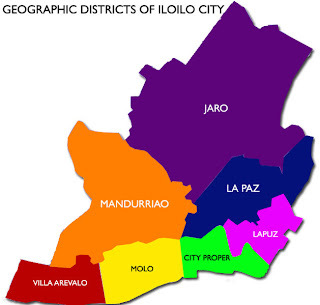 Iloilo River is an estuary that separates the districts of City Proper, Molo and Villa Arevalo from the rest of the city districts, while Jaro River is fed by its tributary rivers, Aganan and Tigum and passes by the flood plains of the Jaro and La Paz districts. 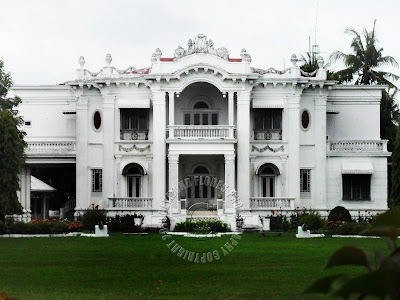 The city has a total land area of 70.3 square kilometers and is divided into 180 barangays with seven city - districts.